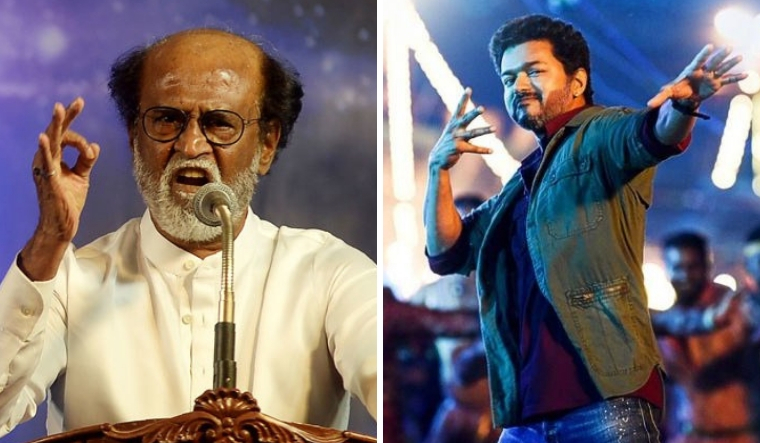 Tamil superstar Rajinikanth Friday lashed out at the ruling AIADMK in Tamil Nadu for its protests against certain scenes in actor Vijay's Diwali release Sarkar, questioning the rationale behind protesting against a film certified by the Censor Board. He "strongly condemned" the demands for deletion of scenes. "It is against the law to hold protests seeking removal of some scenes from a Censor board certified film and trying to stall the screening and damaging the banners," he tweeted. The makers of Sarkar had agreed to remove "objectionable" scenes and "mute" an apparent reference to the late J Jayalalithaa, an industry body said Thursday, as the movie faced a backlash from the ruling AIADMK over depiction of its welfare schemes and its leader. Law Minister C Ve Shanmugham said certain scenes amounted to inciting violence and warned of action. While a theatre owners' body announced that the edited version would be screened from Friday afternoon, sources in the Sarkar crew said a "compromise" has been reached.